The cacao pods, which can be green, yellow, orange, red or purple depending on the genotype, hold their precious cacao beans suspended in an acidic white pulp and even the raw beans can be eaten. The two types of true cacao originated in South America. 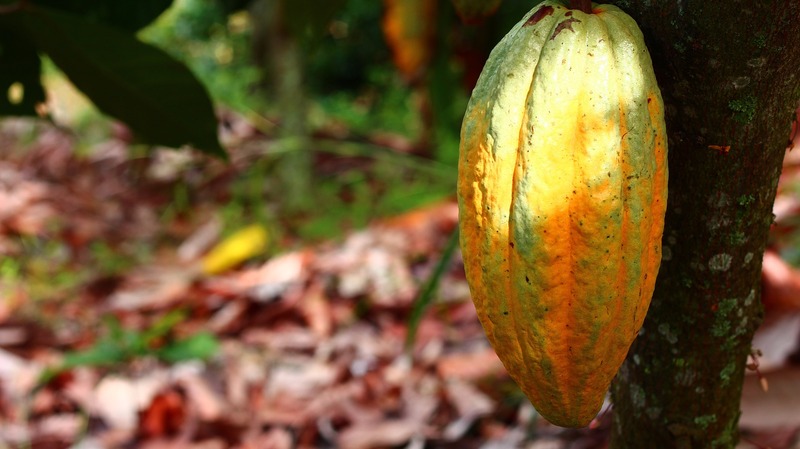 The first to be discovered and cultivated by Europeans growers was the criollo from northern South America. It remains today the most coveted type as it has low acid levels and produces a complex, full-flavored chocolate paste. Unfortunately, it’s also the most difficult cacao tree to grow, so this type accounts for approximately 1 percent of the world’s cocoa production. Later, the forastero bean from the Amazon basin was discovered and began to be cultivated. 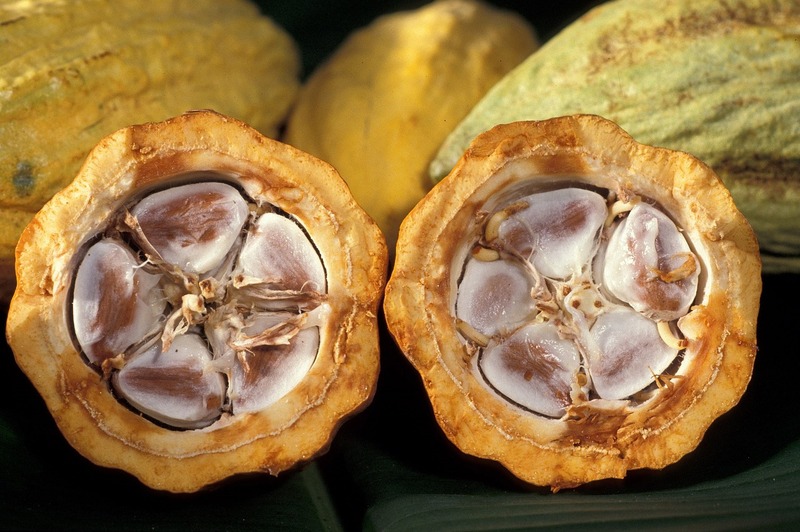 While the cacao bean itself was inferior to the criollo, with a harsh bitterness and acidity, it was a very hardy plant and had a much higher yield. 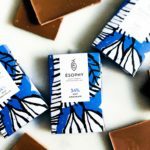 This type grew in popularity (because of its hardiness and robust production of pods) to account for approximately 92 percent of the world’s cocoa production today. The amelonado was originally a Lower Amazon forastero type that was cultivated in Bahia and the Caribbean islands. Because of its hardiness, this forastero then made its way to West Africa. If handled and fermented properly, it can produce a mellow flavor and is preferred for milk chocolate. The trinitario cacao type was born after disease devastated the criollo cacao plantations in Trinidad in the 1700s. After the disease had passed, plantations decided to re-establish their business by importing forastero stock from Venezuela. The new stock crossed with the few remaining criollo trees. The hybrid that developed combined the hardiness of the forastero with the full flavor of the criollo. The trinitario type accounts for approximately 5 percent of the world’s cocoa production. In 2011, Marañón Chocolate discovered pure nacional cacao in Peru. It has a robust sweet and fruity flavor that is easy to identify and accounts for approximately 2 percent of the world’s cocoa production. 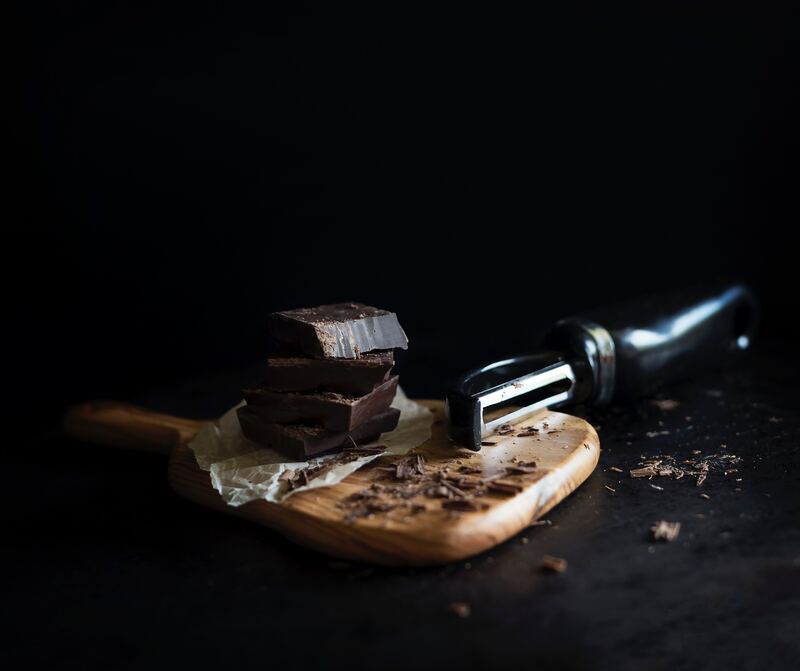 Over the centuries, the various types of cacao have been mixed and mingled so that origins are sometimes hard to trace and the differences in flavor can vary from one plantation to another, even though the type is the same. 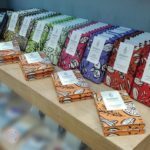 The one chocolate-producing country that was able to maintain its stocks of criollo throughout the years is Venezuela – which has always been considered as the source for exceptional chocolate. 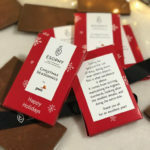 With all these flavor differences between types and even differences themselves within the type, a chocolate manufacturer can make the flavor of their chocolate products unique by blending different cocoa beans. The New Taste Of Chocolate: A cultural and natural history of cacao with recipes by Maricel E. Presilla a beautiful book that focuses on cacao types, farming and production in Venezuela and Trinidad.